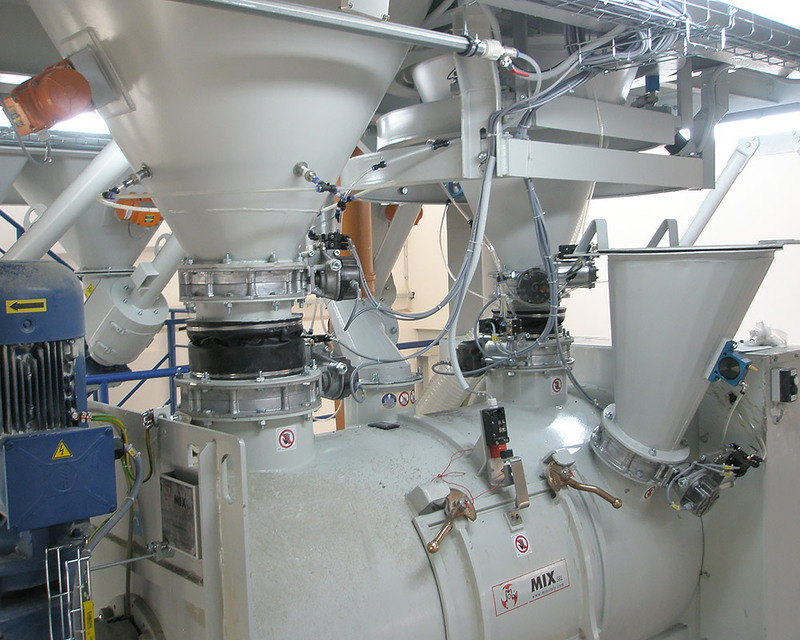 We control our weighing, filling and mixing systems using our proprietary control systems with visualization, which allow operators to use their own formulas for mixing both liquid and solid materials. Liquid materials are metered by pumps, solid materials by conveying screws with regulated feed. Weighed components are then mixed as necessary and filled into user containers. A weighing system can both mix and cool the components as appropriate.